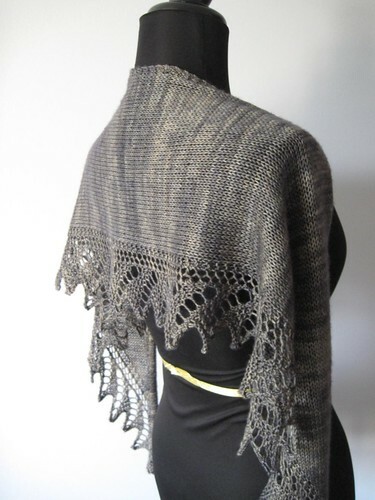 It's a sideways knit shawl, started by casting on 13 sts and increasing up to 57 sts. It's worked straight for awhile, before decreasing back down to 13 sts. 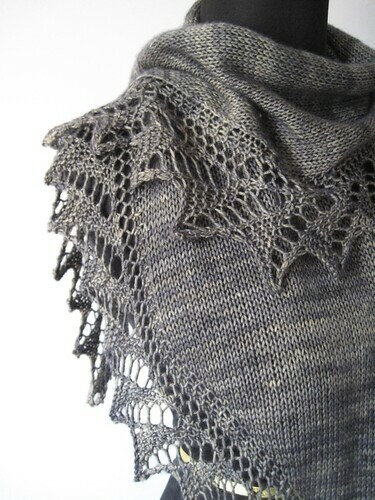 ﻿I love the lace edge of this shawlette. You use double yarnovers to get those giant holes in the edge. You also bind off a few stitches every 8 rows to get all the pointy edge goodness. 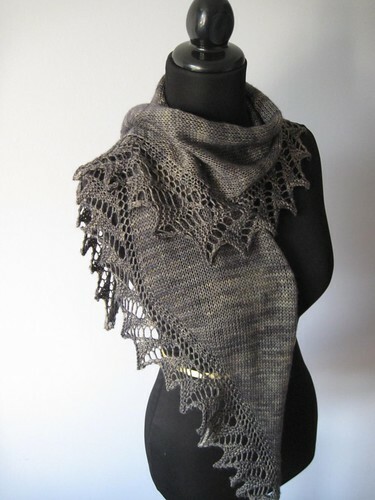 It can be worn a variety of ways, which is going to make it a staple in your knitted wardrobe. 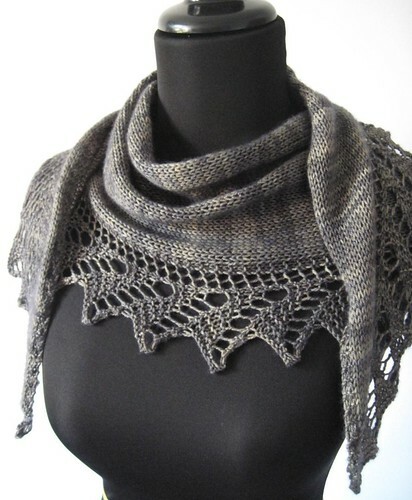 Remember, if you huy two or more patterns from my Ravelry shop, you get 30% off your order!